BlueCity Lab invites nature back at our table, to tackle local and global issues like climate change, waste, growing world population and increasing scarcity of resources around the world. BlueCity Lab is a part of the BlueCity Network, an ecosystem of entrepreneurs who connect their business plans, products and waste streams together. BlueCity believes that the challenge requires us to enter a new relationship with nature, which in fact has already designed everything for us. The linear economy shifts to a circular economy in which bio-design has found its way. Willem de Kooning Academy and BlueCity Lab join forces to educate the next generation of designers in the field of bio-design, the cross-pollination between nature, science and design in the Blue City Lab. BlueCity Lab facilitates a Wet-, Dry-, and Taste Lab to research the possibilities towards a bio-designed future. Living systems are part of the design process, from bio-mimicry to growing organisms for materials and products. Ultimately, the role of designers in the future will be to explore how nature’s sustainable materials can become tomorrow’s consumer products. This field requires research, multidisciplinary collaborations and, moreover a laboratory where a product can be designed from the cell. Well-known bio-designers like Isaac Monté, Ermi van Oers, Koen Meerkerk and Hugo de Boon from Fruitleather Rotterdam and Emma van der Leest are the WdKA alumni. 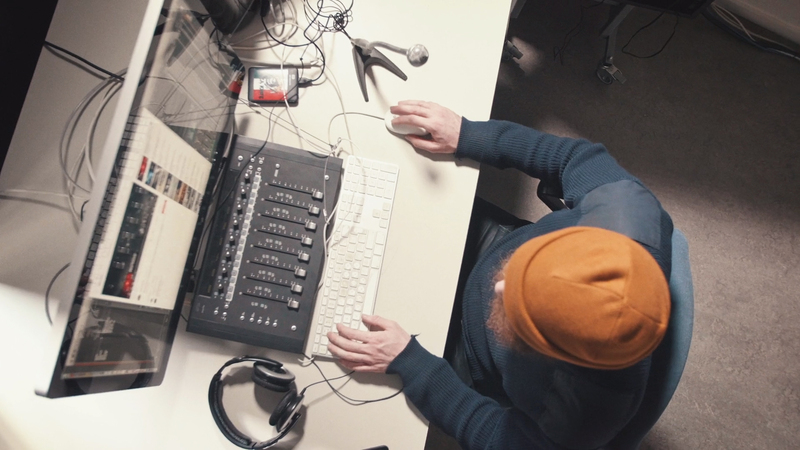 How did BlueCity Lab come in contact with WdKA? 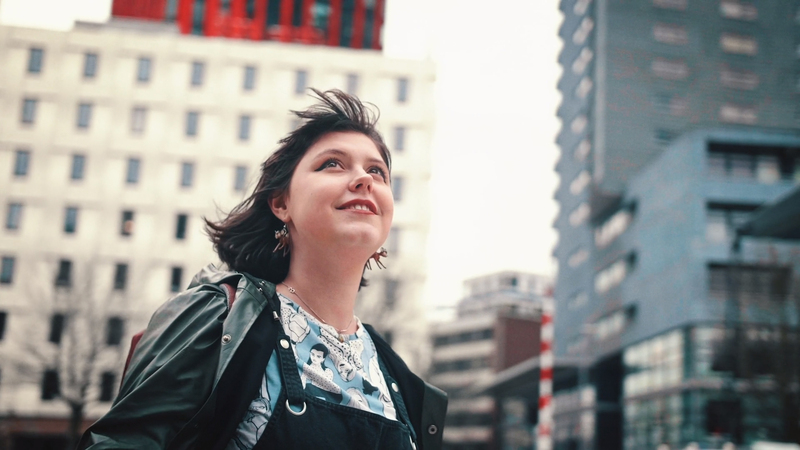 The founder of BlueCity Lab, Emma van der Leest, is a WdKA alumnus. 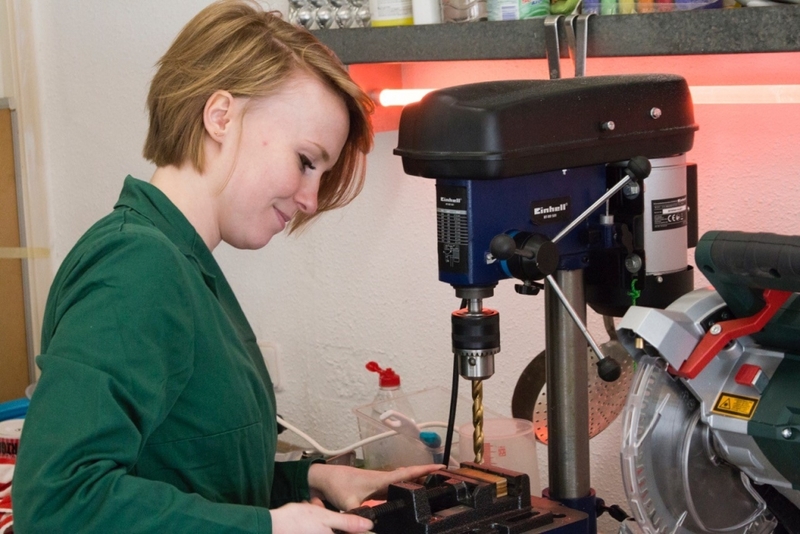 She graduated as a product designer in 2015 with a research about bio-design and the shifting role of the (product) designer and became a bio-designer, incorporating living organisms such as bacteria, fungi, algae or cells into her design processes. 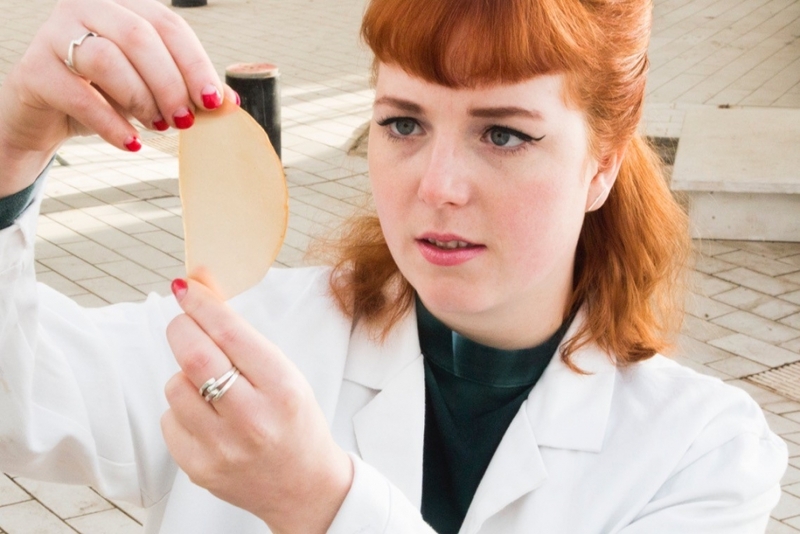 By operating in a multidisciplinary environment, Emma strives to find and use new grown materials that are completely compostable and minimise the use of resources that are harmful to the ecosystem. Emma is also a part-time lecturer at the WdKA, educating the next generation of bio-designers with a focus on bio-based and circular design. 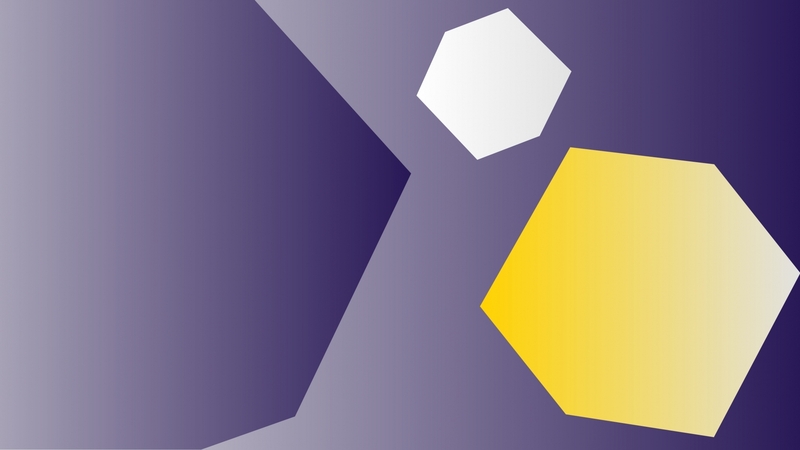 What are the BlueCity Lab – WdKA collaboration forms? 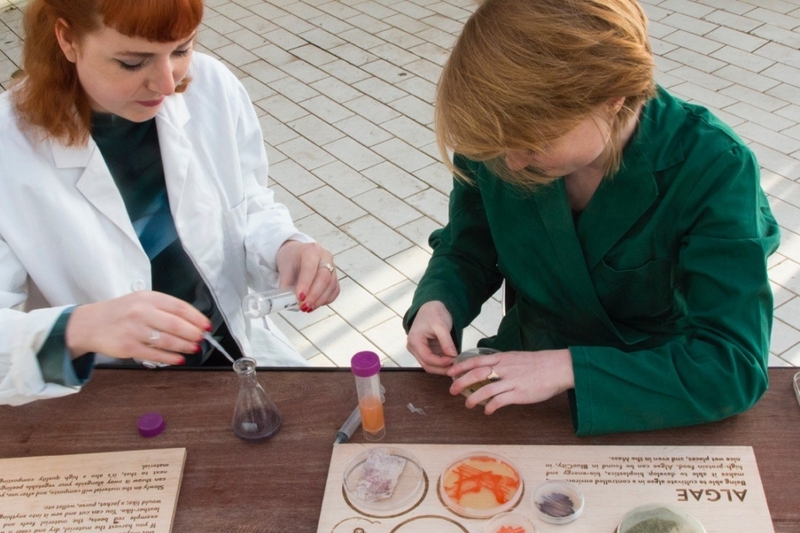 Bio-design asks for a close collaboration with scientists, biologists and chemists. In BlueCity Lab, students get acquainted with working within other disciplines and various topics. They will not become the expert in biology - the main collaboration between WdKA and BLC will be about investigating materials, processes and products made with bio-based products - but they will acquire understanding how nature works on both cellular and systemic level. The startup Fruitleather is a great example. In what way is this collaboration beneficiary for BCL? The BlueCity Lab is a ‘Station’ at Willem de Kooning Academy, but unlike in the other stations, nature is playing a key role here. BlueCity Lab and WdKA see this academic year as a pilot year, this means that we are going to try out different forms of collaboration. While we educate the students during their majors, we hope to welcome them after they graduate, as accomplished designers with a focus on bio-design and circular economy. What or who does inspire BlueCity Lab? BlueCity Lab is part of BlueCity, a network of entrepreneurs, designers and makers who connect waste streams and business models together. This philosophy is written down in the book "The Blue Economy: 10 Years – 100 Innovations – 100 Million Jobs" by Gunter Pauli. The book expresses the ultimate aspiration that Blue Economy business model will shift society from scarcity to abundance 'with what is locally available', by tackling issues that cause environmental and related problems in new ways. Just scroll through the innovations on The Blue Economy site to get inspired. These innovations aim to inspire entrepreneurs to adopt different new insights, by demonstrating how they can create economic benefits via job creation, reduced energy use, and revenue streams from each step of the process, at the same time benefiting the communities involved. 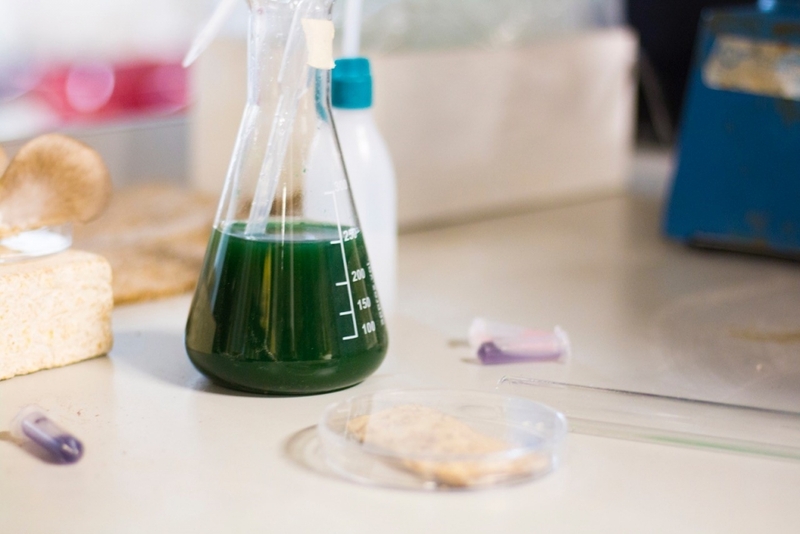 BlueCity Lab facilitates a Wet-, Dry-, and Taste Lab to explore the new ways of making and creating materials and products based on blue economy principles. The lab lowers the threshold for anyone who wants to practice biotechnology in an environment where it doesn’t matter what background you have as long as you are willing to collaborate. Whom would you call a creating pioneer? The ones who act deeply personal and highly systemic. Alumni from WdKA like Ermi van Oers, Isaac Monté and Koen Meerkerk and Hugo de Boon from Fruitleather Rotterdam are such creating pioneers. They dare to collaborate with scientists and work in admiration of nature and society, against the conventions that subdue and exploit our environment. Such pioneers who dare to cross their own discipline borders will create an impact on our future with their collaborative power. They are all masters of application, able to change an unusual material into a feasible service or product. They think about how technology can be integrated and shaped into products, how consumers should use a product and how it fits into a larger system, from resource to end-of-life or (ideally) circular. WdKA students ARE different, yes or no? Why? No, people are different. We think students can use their creativity to incubate new market innovations, to develop ideas and products, but other people can do the same. The future is created by those who do it, and education, like at WdKA, can help those people. Designers are able to change consumer's preconceived ideas and behaviour little by little, thus they are in a position of power over what consumer might purchase. At BlueCity Lab we invite nature back at our table, to tackle local and global issues like climate change, waste, growing world population and increasing scarcity of resources around the world. BlueCity Lab is a part of the BlueCity Network, an ecosystem of entrepreneurs who connect their business plans, products and waste streams together. BlueCity believes that the challenge requires us to enter a new relationship with nature, which in fact has already designed everything for us. The linear economy is shifting to a circular economy into which bio-design has already found its way.